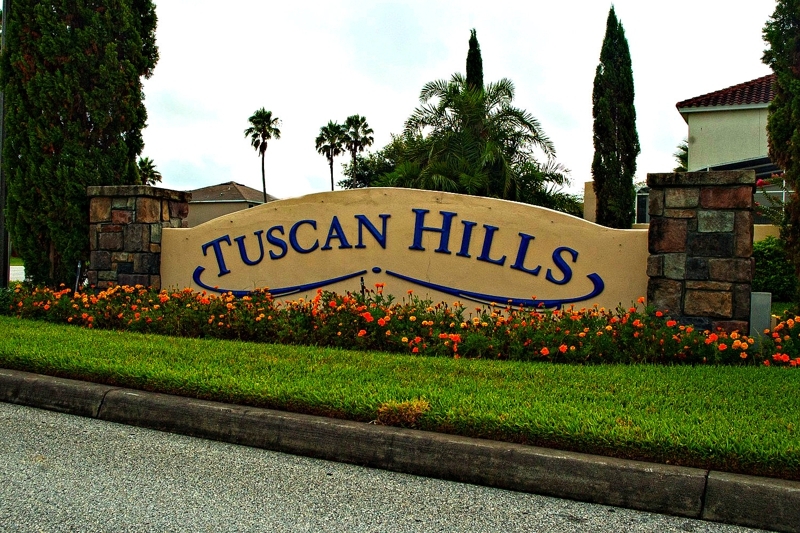 Tuscan Hills is located in Davenport, south west of Walt Disney World on the US 27, just one mile from the intersection with the US 192. The Interstate 4 can easily be reached and provides direct access Southwest to Tampa (60 minutes) and Northeast to the centre of Orlando and the Airports (Orlando airport 30 minutes, Sanford airport 60 minutes). 15 minutes to Disney.